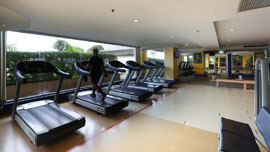 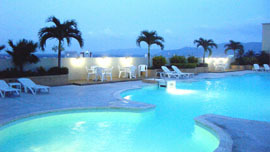 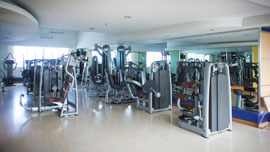 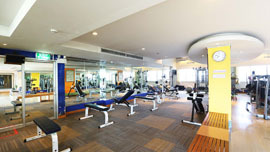 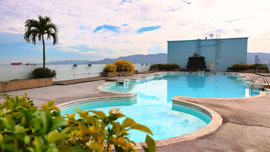 Well-being made easy…Maintaining your fitness routine while traveling is simple at Lee Gardens Plaza Hotel. 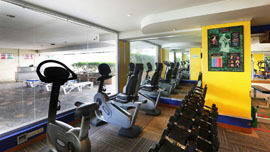 Our 12th-floor Fitness Centre is equipped with Vision Fitness treadmills, bikes and elliptical trainers. 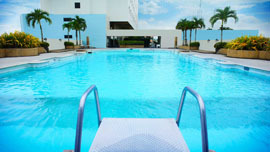 Floor-to-ceiling glass windows, with views of sky-high garden and rooftop swimming pool, offer plenty of natural light. 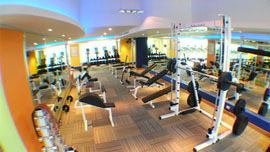 Open Daily : Mon - Fri : 07.00 A.M. - 09.00 P.M. 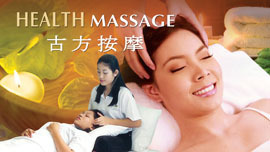 Sat - Sun : 07.00 A.M. - 08.00 P.M.